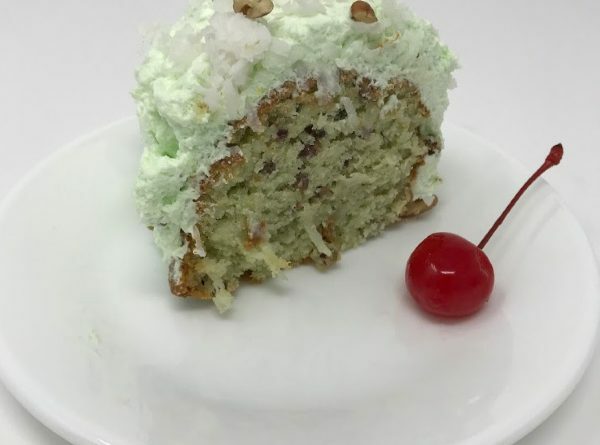 Over the holidays I made my family’s infamous Watergate Salad and it reminded me that I had never shared my vintage (the 1970’s) Watergate Cake with you. So, now I’m going to show you how to make it. This cake is very moist, probably because it has instant pudding in it. It’s a fluffy cake filled with shredded coconut and chopped pecans. The nuts and the coconut give it a really awesome texture in every bite. Plus, who doesn’t love a few Maraschino cherries once in a while on the top of a cake? I want to share my mom’s secret trick to making your cakes really moist. Well, she always told her daughters (me) it was a secret. 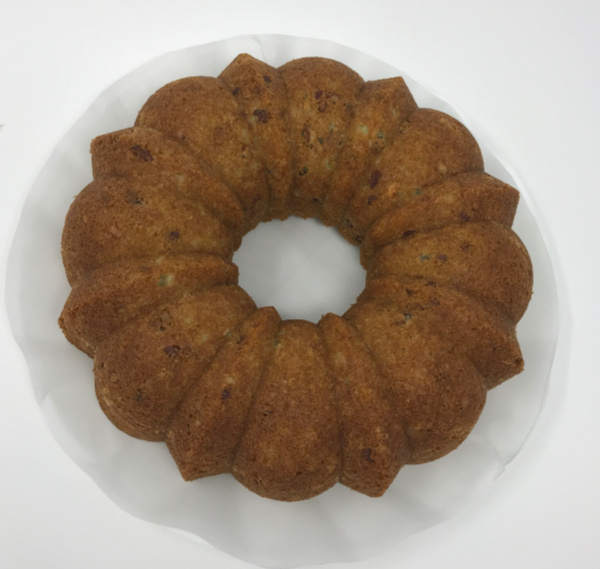 Then I realized a well-known Bundt cake shop freezes their cakes as well. Mom, the secret is out, if it ever was a secret. First you start with the ingredients as listed in the recipe below. I used my Kitchen Aid mixer to make this cake. Isn’t this green color awesome? I LOVE this cake! Can you see the little pieces of Pistachio nuts in the batter? After you bake a cake, whether it’s a Bundt cake or layer cake, you bake the cake and then here is the secret to a moist cake. Let the cake cool for about ten minutes. Next, cut a piece of parchment paper to fit the size of a large dinner plate. After the ten minute cooling period place the parchment paper over the cake pan, then turn the plate upside down on top of the cake. Carefully, flip the cake over so it’s sitting on the parchment paper on top of the dinner plate. I place this cake in the freezer, no cover, and let it freeze for a day or two. When you are ready to serve the cake, you remove the cake from the freezer, discard the parchment paper. 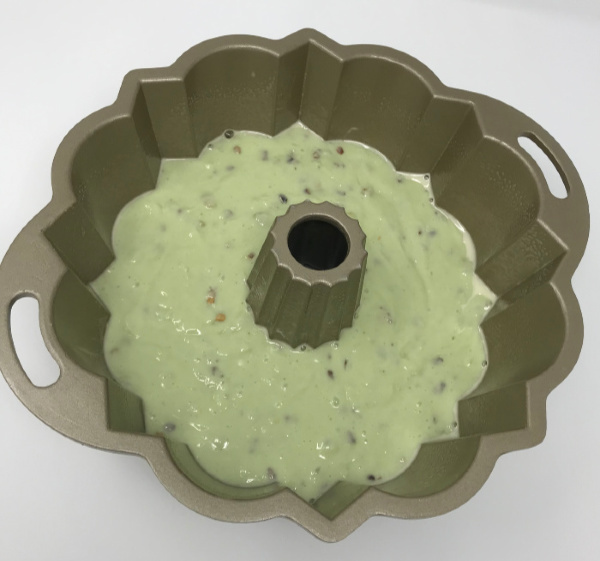 Place the frozen cake on the platter or serving dish you are going to use to serve the cake. 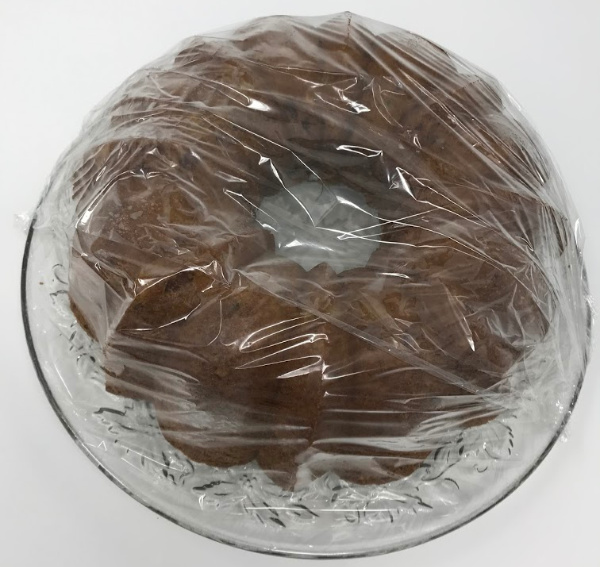 Cover the frozen cake with plastic wrap, it usually takes two sheets. Let it thaw on the counter for 3-4 hours. 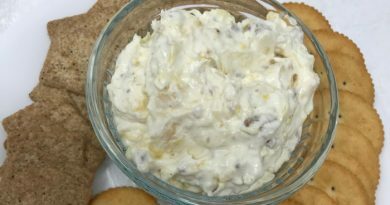 This recipe calls for Dream Whip, I didn’t know the stores still sold this product! LOL! Well, they do! 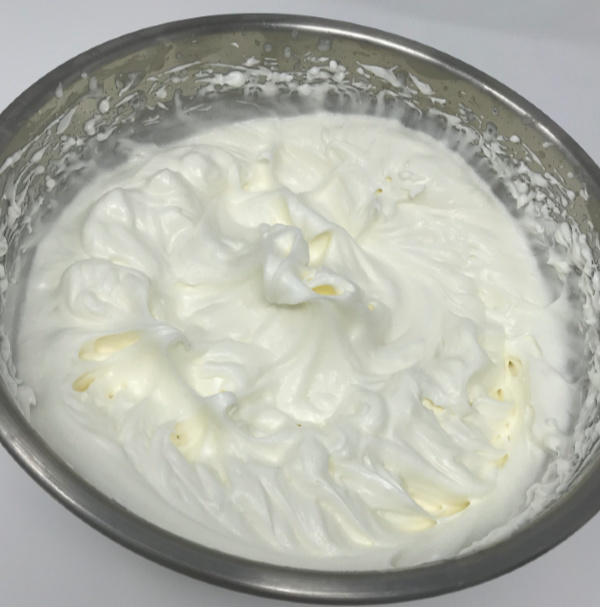 You beat the milk with the two envelopes of Dream Whip powder until peaks form as shown above. Let’s just say this took some arm work, I used a hand mixer and it took several minutes to get some “peaks,” just so you know. Then you add a package of Pistachio pudding to the Dream Whip. Oh my gosh, this is when it smells really yummy! Prepare the frosting and frost the cake JUST before serving. This makes the cake moist, I promise. 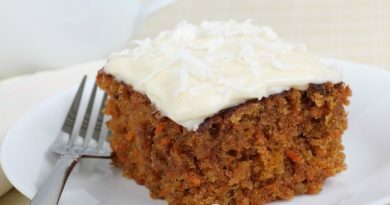 You sprinkle shredded coconut on top, then chopped pecans, and top a slice with a Maraschino cherry! WATERGATE CAKE Instructions: Preheat your oven to 350 degrees. Grab a large bowl and add the ingredients except the coconut and pecans. Whip until thoroughly mixed. Fold in the coconut and pecans. Stir until smooth. 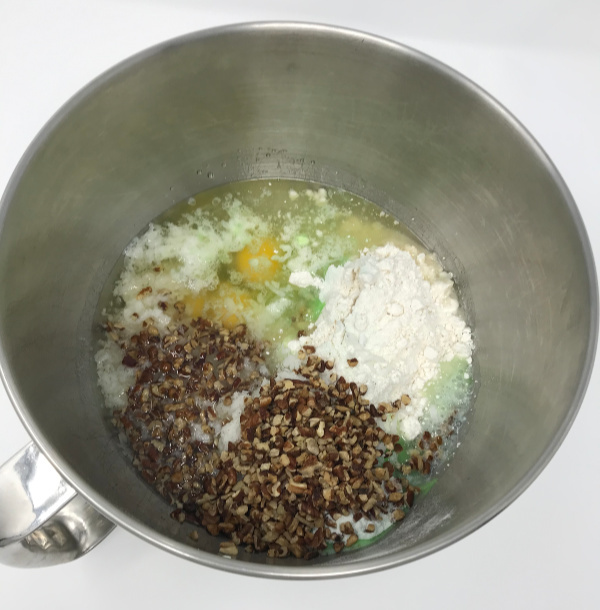 Grease a 10-12 cup Bundt pan and scoop the mixture into the pan and spread evenly around. Bake at 40-45 minutes or until a toothpick comes out clean. 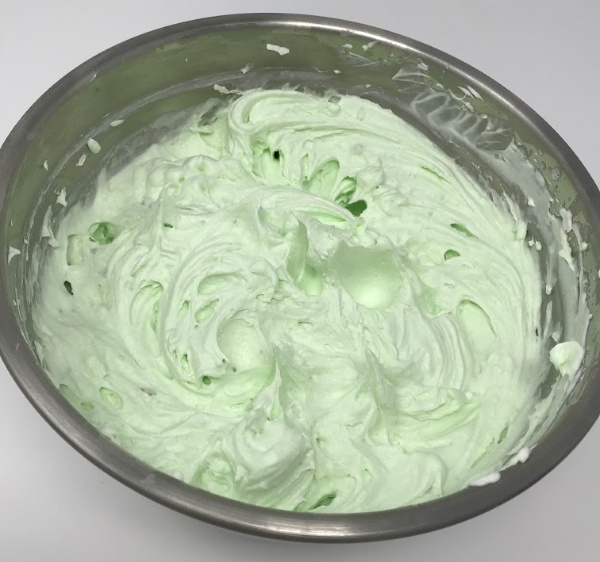 WATERGATE FROSTING Instructions: Use a hand mixer to whip both Dream Whip contents with the milk until peaks appear. Gradually add the pudding and beat until fluffy for about 2-3 minutes. 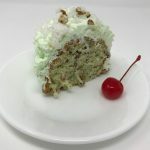 Frost the cooled cake and sprinkle coconut and pecans on the top of the frosted cake and garnish with cherries, if desired. Cool for at least two hours before serving. Refrigerate any remaining cake after serving. You may be wondering why this is called the Watergate Cake. Often times people try to capitalize on current events to draw attention to their authored work. 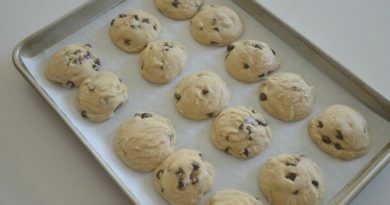 As the story goes, the individual or company that created the recipe felt it would gain more appeal if it referenced Watergate, a scandal at the time of the recipe’s first publication. See below the quote from Wikipedia for a reference to events in the 1970s that prompted the name. Oh my, that sure looks good. I haven’t had a really good cake in a long time. I will be making this soon. My mouth doth water. Is that drool ? Well, I made the cake. I have this old bunt pan from the 70’s? Avocado green Teflon coated. I hate this pan. It never works. I couldn’t find my new one. It is still in a box from when we moved, well buried under many other boxes yet to be gone through. Back to the cake. I sprayed the pan really good. Every nook and cranny. Smelled good as I patiently waited. Done. So I got down a really nice pedastal cake plate. Made sure it would fit. Made sure the cake was loosened and tipped it onto the plate. Only half of it released. Really?, really? So, I picked the crumbs out of the pan and refitted it back onto the cake. Of course there were left over crumbs so they were quickly dispatched. It tasted really good……now, the frosting. You didn’t mention that it makes sooo much. But then I do like leftovers. It looks great and the frosting really ‘glued’ the cake back together nicely. No one will know the experience I had today. We will eat it tonight when our daughter visits. I already know it tastes good. Thanks for the recipe. Very pretty cake. I give this 5 stars for ease, taste and beauty.